Over the past few years, we have received many calls regarding the so called Microsoft Telephone Scam. 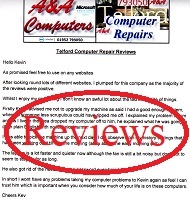 Our advice to customers is always the same; we are Microsoft Partners and A&A Computer Repairs can absolutely guarantee and promise you; "Microsoft do not telephone members of the public to tell them that their computer is faulty, infected with viruses etc". Also; "Microsoft do not ask other companies or individuals to telephone members of the public to tell them that their computer is faulty, infected with viruses etc"
The Microsoft scam involves conning people into giving them access to your computer (often by downloading and installing a legitimate program called Team Viewer). Team Viewer allows the scammer to take control of the victims computer (Microsoft do not use Team Viewer). The scammers often install malware (malicious software) which creates lists of fake viruses and - or searches for bank account details etc. Additionally; the Microsoft Telephone Scammers will often try to get you to pay for their "services" via your credit card or debit card. Again; they are simply trying to obtain access to your account. When finished or discovered, they often delete important computer files, install a password, install viruses etc. Having performed a scam, many scammers repeatedly phone the victim at random times to gloat. You should NEVER give a cold caller your credit card details, debit card details, bank account details, Paypal account details etc. If you have granted access to your computer, you are advised to check your bank account etc. If you have made a payment to them, you are advised to contact your bank and explain that you may be the victim of fraud. If you are on the phone to them and you realise that something is wrong, simply press the power button - keep it pressed and the computer will switch off after about 6 seconds. This will limit the amount of information that they can collect and reduce the damage which they can do. Quite often the scammers will install a password (usually 123456) and - or delete important system files. However they can also install a computer virus, malware or ransomware. Be suspicious of unsolicited calls related to a security problem, even if they claim to represent a respected company. Take the callers information down and pass it to the authorities. Use up-to-date versions of Windows and application software. Make sure security updates are installed regularly. Make sure the firewall is turned on and that antivirus software is installed and up to date. Please note; Microsoft also advise people to download Microsoft Anti Virus software. We do not agree with this because we believe other Anti Virus and Internet Security products to be superior. If you have followed instructions from someone pretending be calling from Microsoft, or telephoning on behalf of Microsoft, and you have downloaded software, or given control of your computer to them, we strongly advise you to back up your documents, photos etc, wipe your hard disk drive, re-install Windows install a quality Antivirus or Internet Security program and then copy back your documents, photos etc. Thousands of people have been "caught out"
It is essential that all infections are removed. We recommend removing your hard drive, attach the drive to an uninfected system running premier Antivirus software and premier anti malware software. Scan with anti Virus and Anti Malware, delete infections, back up your documents, photos, music etc. Refit the hard drive, and completely erase it (to ensure that all signs of the infection are "killed"). 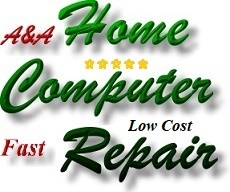 Then re-install Windows copy back your documents, photos, music etc. We also recommend installing a quality Antivirus or Internet Security program (we recommend Kaspersky - also recommended by Barclays and supplied free to Barclays Bank account holders) and quality anti Malware software to give the Fast protection against future infections. However; please be aware that the Microsoft Scam is so dangerous - effective because the victim gives control of their system to a criminal.